So glad I purchased this for our patio. Light weight, easy to assemble and looks great. Panama Jack's Island Breeze slatted dining group set incorporates a tubular aluminum frame in a unique powder coated espresso finish that will not rust. 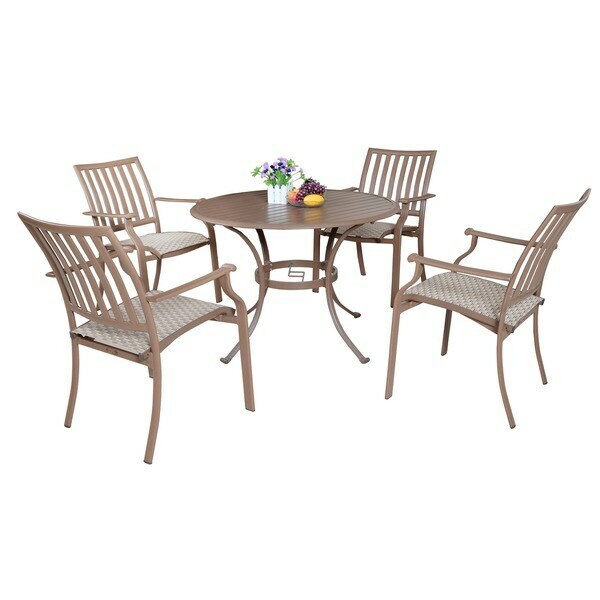 This versatile dining group is weather proof and long lasting so you can sit back and enjoy meals for years to come.